Description: Weeks in Review; Seattle Seawolves and ARC, BQotW, Questions and Answers. BQotW#238: What is your dream vacation? 0:46:25. Matthew Hunt. What comedians have you found to be the funniest in your opinions? 1:05:32. Rob MacLennan. Chaplin had his hat and cane, is there anything that you'd like to make the signature prop of a character you'd play? 1:08:56. Matthew Hunt. What tv show or mini-series would you like to re-boot/re-imagine and what part role in front or behind the camera would you like to play? Favorite production thus far? Favorite underrated/under-appreciate? Hawke Robinson, James Peters, Leslie Sedlak, Brad Roberts, Rob MacLennan, Jenifer Rifenbery, Rival Guy, Zombie Orpheus Entertainment, Casey Lee, Dennis Nichol, Douggie Sharp, Gordon D. Duke, James Herbert, Jay Blancken, Laura Adams, Lotta Djerf, Seth M. Davis, Tim Martin, Todd McKimmey, and Tom Brophy. 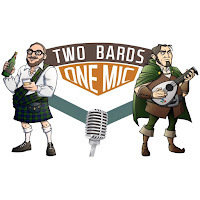 Two Bards, One Mic – Episode 238: Hawaii Bar-Doh! 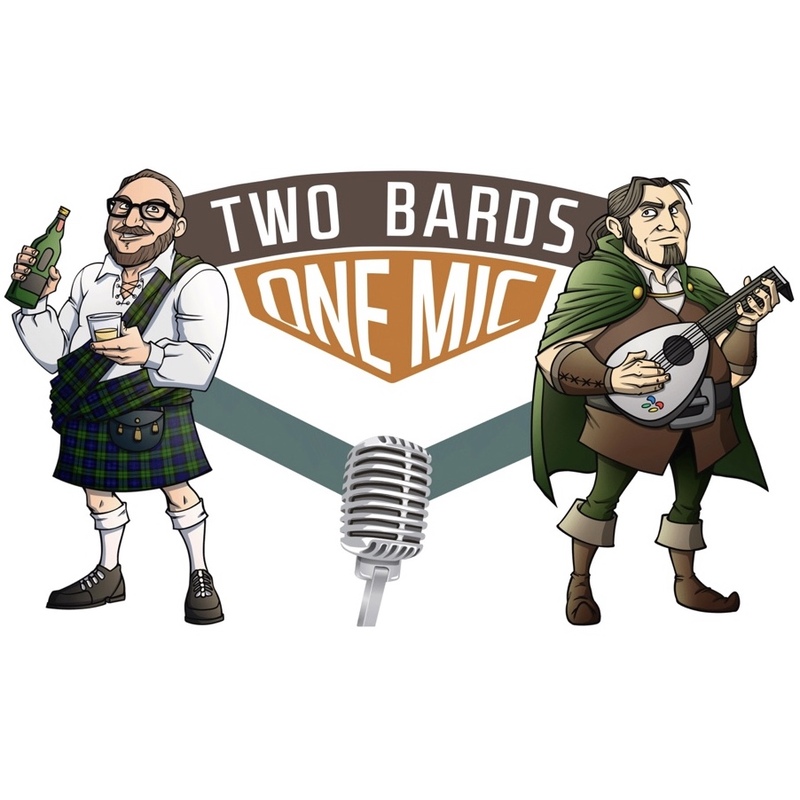 Description: Weeks in Review; Hawaii, Snowmageddon, Work, etc; BQotW, Questions; Questions and Answers. 0:30:31. Matthew Hunt. What is your preferred/go-to sci-fi franchise/universe? 0:34:17. Rob MacLennan. What is your survival plan for Snowmageddon2: The Snopocalypse. 0:35:48. Matthew Hunt. 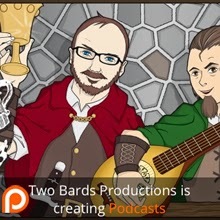 What podcasts do you have on your shortlists? 0:43:40. Rob MacLennan. That makes me wonder if you ever listen to old entries of your old podcast for the member-berries. 0:43:48. James Peters. Got any beef or other meat jerky recommendations? 0:45:46. Matthew Hunt. What webcomics are you currently reading and which would you like to catch up on? 0:47:30. Matthew Hunt. Given the large number of candidates just from the Democrats, what would your 2020 Campaign Slogan be? 0:48:50. James Peters. What would it take to get Andy D. to play some Apex Legends on PC? 0:53:13. Kevin Mickelson. ...How do I avoid divorce?